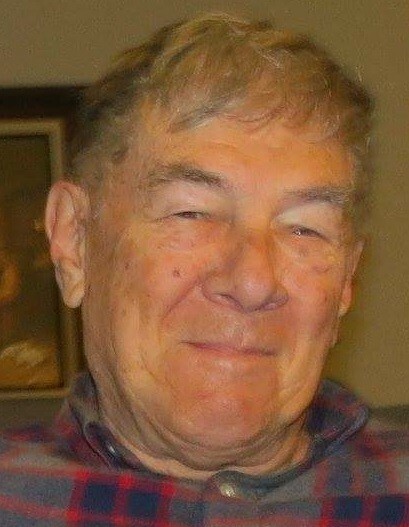 Oval Edward “Edd” Breeden, Jr. formerly of Warsaw, Indiana and now of Cypress, Texas, passed away on Friday, September 7, 2018 at Briarwood Manor Care in Belleville, Texas at the age of 76. He was born on April 21, 1942 in Indianapolis, Indiana to Katherine (Fuller) Breeden and Oval Edward Breeden, Sr. He was a resident of Kosciusko County, Indiana for 69 years where he was a 1960 graduate of Warsaw High School. In 1964 he enlisted in the U.S. Army and served until his honorable discharge in 1966. He studied at C.D.S. in Pennsylvania from 1991-1993 and received his Associate Degree in specialized business and marketing. Edd worked at Zimmer, Inc. in Warsaw as an orthopedic sales forecaster for most of his career. He was a past member of the Warsaw Optimist Club, and former town board president of Winona Lake, Indiana. He will be dearly missed by his family. He will be lovingly remembered by his two sons: Steve (Deea) Breeden (Warsaw, Indiana); Brian (Christina) Breeden (Warsaw, Indiana); two daughters: Jen Hutchens (Chugiak, Alaska); and Kari (Thad) Horton (Cypress, Texas). Also surviving are eleven grandchildren: Zach, Emily, Austin, Miya, Mason, Chris, Lauren, Gwen, Davyn, Liam and Zander; and three sisters: Wanda Wilson and Lois Heichelbech (both of Zephyrhills, Florida); Bonnie Siriana (Sanford, Florida). He was preceded in death by his parents, and his grandson, Adam. Visitation will be held on Thursday, September 13, 2018 from 3:00 - 6:00 p.m. at Redpath-Fruth Funeral Home, 225 Argonne Road, Warsaw, Indiana. His funeral service will follow immediately at 6:00 p.m. and officiated by Pastor Jeff Pfeifer. Memorial donations may be directed to Briarwood Manor Care, 1515 W. Main Street, Belleville, Texas 77418 and would be appreciated by the family.